Here is a little blast from the past. The video I took from the Brompton World Championships back in 2012. This was the last time the BWC was held at Blenheim Palace before moving to the rather fine Goodwood Circuit in 2013. I have to say that I loved the new venue but the Blenhiem circuit still brings back happy memories. The footage has been speeded up so it is now only just over 10 minutes rather than 30. I have to carry my Brompton like a Hobbit! Marathon Plus off Marathon on! 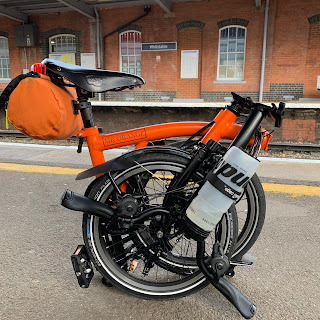 Ortlieb Brompton Mini O Bag In Orange! !